Revaluation is a periodic program undertaken in order to appraise all real property in terms of its full market value (bringing all properties to 100% of their true market value and by the same standard.) Market value is defined as the price a purchaser who is willing but not obligated to buy, would pay an owner, who is willing but not obligated to sell, taking into consideration all uses to which the property is adapted and might in reason be applied. Also known as tax equalization, revaluation ensures that all property owners pay their fair share of taxes based on the actual true market value of the property they own. An updating of all real property values as of October 1. It consists of appraising the value of the properties, both taxable and exempt, using recent sales, building costs and income and expense information of similar properties. All residential, commercial, apartments, industrial, vacant land, churches, school buildings and all other real estate are valued. The following definition of a Revaluation program is described in the "Handbook for New Jersey Assessors." 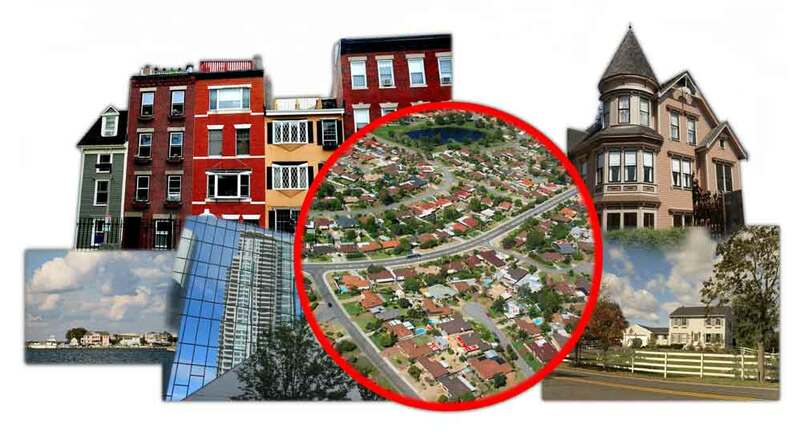 "A revaluation program seeks to spread the tax burden equitably within a taxing district by appraising each property according to its true value and assessing it based on such value. This is accomplished by the mass appraisal of all real property in the taxing district by an outside professional appraisal or revaluation firm. 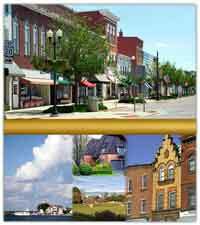 A revaluation program includes a contract between the firm and the municipality. The contract must be approved by the Director of the Division of Taxation, and both the contract and revaluation firm must meet certain standards which have been established and set forth by the Director in a body of regulations. The revaluation contract is also subject to review by the county board of taxation who may make written recommendations to the Director." "The need for revaluation may be demonstrated by any evidence which indicates that properties within the taxing district are not assessed at the same rate of true value. One of the best sources of information is the assessment-sales ratio data gathered in the equalization program for the distribution of State school aid. An individual assessment-sales ratio is found by dividing the assessment on a property by the amount for which the property has been sold, and expressing the result as a percentage. For example, a property assessed for $40,000, which is sold for $50,000, would be said to have an 80 per cent assessment -sales ratio. If the individual assessment-sales ratios vary widely, a revaluation program definitely is needed." According to the Dictionary of Real Estate Appraisal (3rd Edition) published by the Appraisal Institute, revaluation is the "mass appraisal of all property within an assessment jurisdiction to equalize assessed values." The objective of a mass appraisal process is to estimate the fair market value of all real estate (a term that is synonymous with the term real property) as of a common date. "The amount at which property would change hands between a willing buyer and a willing seller, neither being under any compulsion to buy or sell and both having reasonable knowledge of the relevant facts. By fair market value is meant the price in cash, or its equivalent, that the property would have brought at the time of taking, considering its highest and most profitable use, if then offered for sale in the open market, in competition with other similar properties at or near the location of the property taken, with reasonable time allowed to find a purchaser." Demand for property and the available supply are arguably the primary factors influencing the real estate market. Reaction to supply and demand considerations and to other economic, social and legal factors determines the prices that people pay for real estate. Potential purchasers of different types of real property (e.g. residential, commercial or industrial) react to different market influences. For example, the reputation of a local school system could play a more important part in determining the choice of a community in which a family with young children chooses to reside than it would be for a manufacturer, to whom the availability of skilled labor and access to transportation may be more important. A revaluation eliminates these inequities in assessment levels and equalizes the tax burden among property owners.